A content publisher has unique requirements from a WordPress website. Hosting, UX improvements, WordPress updates and customizations are requirements that need to be carefully handled, especially if the website is a high-traffic one. 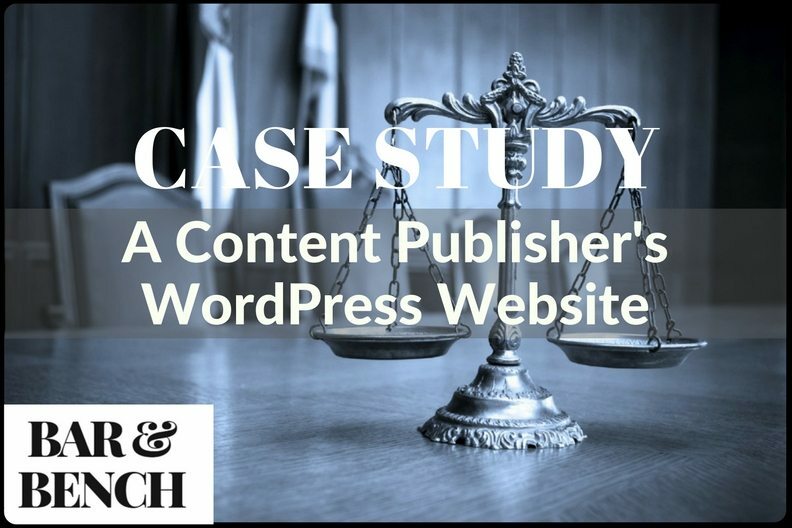 This case study highlights our experience of managing a content publisher’s website called Bar & Bench. Download to find out how we managed this high traffic content publisher WordPress website. Join 2000 email subscribers & learn how to fine tune your WordPress website!